Welcome to Euro House Cleaning Services & Maid Services Des Plaines, IL. Since 2002 we have been providing highest quality house cleaning services and office cleaning in Des Plaines & surrounding West and South-West Chicago suburbs. Cleaning services performed by our maids and house cleaners are not only top class, but also offered at affordable rates. Euro Clean Group strives to go the extra mile so that you are pleased with our house cleaning service and the quality of our work. We take pride in our reputation and the quality of our work reflects this. At Euro Clean Group, our goal is to provide you with the best house cleaning experience possible. Each one of our staff members is highly experienced and has undergone extensive training on how to clean thoroughly. Every of our cleaning teams is thorough and efficient. When we clean your home or office, Euro Clean Group guarantee sparkling clean. We are positive you will be satisfied with our house cleaning services. If you are not, we promise to address any issues immediately. Call us today for more information and a free estimate for regular cleaning (weekly, bi-weekly, monthly cleaning) or one time deep house cleaning! Thanks to the services of Euro Clean Group my parents could spend more time in their beloved garden. They did not have to waste time on cleaning. Quick and efficient cleaning is a characteristic of Euro Clean Group Inc. The attitude of Euro Clean Group’s employees when it comes to working was a pleasant surprise. They were always punctual and very friendly towards me and my family. I highly recommend their services. I always found cleaning to be a tiresome and annoying chore. Fortunately, ever since I hired cleaning contractors from Euro Clean Group i no longer have to worry about cleaning my home. They services are sure to satisfy you. Looking for quality house cleaning or commercial cleaning services in Des Plaines and nearby areas? Euro Clean Group is at your service! If you want to know the cost of house cleaning, send us a free online estimate form or simply call us. 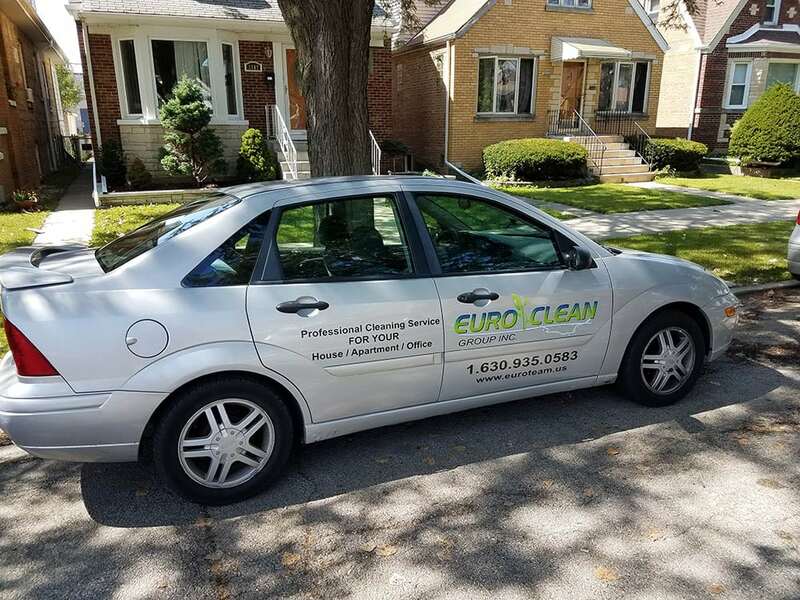 At Euro Clean Group, we are proud to offer high quality residential and commercial cleaning services for the south and southwest suburbs of Chicago. Why are we the best choice amongst cleaning services in the Des Plaines area so far? We have 15 years of experience in house cleaning and office cleaning. Our cleaners use only the best equipment. Cleaning services we provide are affordable, and very easy to book. We love to clean and we would be happy to provide you with the best house cleaning services in the area. We have 15 years of experience providing the best cleaning services for residential and commercial properties. Over the years we have picked up many tricks for the best possible clean. We use only the best cleaning equipment and materials to complete our cleaning services. Each piece of equipment we use is a trusted brand and is efficient and maintenance regularly. We offer our house cleaning at very affordable rates. This allows more families to benefit from our services. Now, house cleaning is accessible to all instead of a limited few. Our quality cleaning services are very easily booked and scheduled. We have a flexible system, allowing you to get the cleaning packages you need, when you need them, every time. We pride ourselves in having friendly and professional customer service. Contact us with any questions and we will be sure to provide a courteous and prompt response. Call us today! Before we can even begin to perform routine weekly or bi-weekly maintenance cleaning on a home, there are usually a variety of „first-time” tasks which require extra attention on our first visit. Our first cleaning visit is more like a spring cleaning, or what we call a heavy, deep-cleaning. In fact, it’s not uncommon for our teams to spend from four to eight times longer on a first-time cleaning than it takes us on regular, repeat maintenance visits. While the situation in every home is unique and different, following are some examples of what we mean. It is not unusual for us to spend as much time cleaning one bathroom on our first visit as it takes to clean the entire home on subsequent visits. For example, if we don’t spend the time and effort usually needed to get shower doors, shower-door tracks, shower and bathtub walls, bathtub surfaces, plumbing fixtures and porcelain artifices deep-cleaned, these objects will never look clean no matter how often we come. If built-up mineral rings or hard water stains are present in the commode, we do our best to bring these surfaces back to „ground zero”. Kitchen cabinets, counter tops and appliances often require extra attention on our first visit. Grease, fingerprints and other dirt seems to make its way through everyone’s home and gravitates toward the kitchen (and seems to think that the top of the fridge is an especially good place to hide!). It doesn’t take long for kitchen dust to become impregnated with grease ~ certainly a lot more difficult to clean then a week’s accumulation of ordinary surface dust. Some clients ask us to clean the oven or inside the refrigerator on our first visit, too. The amount of time and effort required to bring all rooms back to ground zero depends on many factors. Most of our clients hire us because they simply don’t have time to clean with more than a „lick-and-a-promise”. Perhaps no one has vacuumed behind or beneath the sofa for months (and moving furniture to clean isn’t as easy for one person as it is for a team of cleaners). Bookshelves, baseboards, window sills, windows, chandeliers or other furnishings and fixtures are often neglected for long periods of time and may require extra initial „TLC”. Euro Clean Group, Inc. is proud to have been serving our clients well for several years! And we are even prouder to note that these very same clients have consistently been pleased and impressed with our work! Don’t just take our word for it! Many of our clients have taken to the internet to share their positive opinions of our house cleaning services in Des Plaines on platforms such as Yelp and Google+. We have also shared several of our favorite comments in our review section here on our website. We are pleased to learn that clients past and present have viewed our services as the go to cleaning services Des Plaines residents can rely on. Several reviews dote on our professionalism, reliability, prompt arrival times, thorough cleaning services, and consistency. We also provide highly affordable and flexible cleaning packages so that people on all sorts of timelines or budgets can come to us with their cleaning needs. If you have any questions about our cleaning packages, don’t hesitate to give us a call! And if you are in doubt about our quality, you won’t be once you read our spectacular reviews! We look forward to working with you and making your house shine! At Euro Clean Group, we are proud to offer house cleaning services not only in Des Plaines. We operate in west and southwest Chicago metropolitan area. Some suburbs we service include Elgin, St Charles, Geneva, Batavia, Aurora, Naperville, Schaumburg, Warrenville, Wheaton, West Chicago, and more! Our cleaning services are available for house cleaning and commercial cleaning alike. We hire only the best staff for our cleaning services and we strive to offer our high quality services at affordable prices to everyone in our service area. If you live in south or southwest Chicagoland and are interested in hiring us, be sure to reach out with any questions.